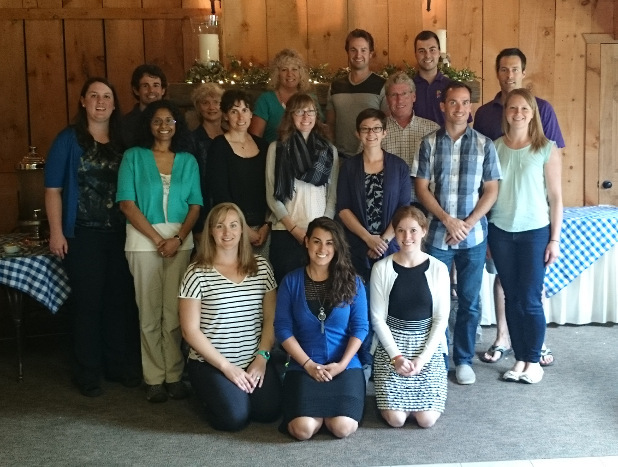 On Tuesday, June 23rd, HALO researchers and staff got together for their 4th strategic planning retreat at Strathmere in North Glover, Ontario, to discuss strategic priorities for the coming years. In the above photo, attendees in the back row from left to right are: Shanna Wilson, Gary Goldfield, Pat Longmuir, Hélène Sinclair, Jameason Cameron, Kevin Belanger and Jean-Philippe Chaput. Attendees in the middle row from left to right are: Charmaine Mohipp, Kristi Adamo, Casey Gray, Stacey Alpous, Mark Tremblay, Joel Barnes and Veronica Poitras. Attendees in the front row from left to right are: Kimberly Grattan, Natasha Cinanni and Katie Gunnell.